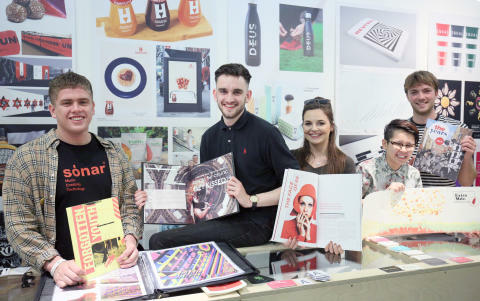 Media and Communication Design students from Northumbria won nine of the 29 ‘Ones to Watch’ awards at this year’s D&AD New Blood exhibition in London. The nine students, from the University’s animation, graphic design, advertising and interactive media design courses, were recognised for their modern and creative projects from out of more than 900 exhibiting students. 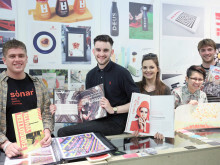 D&AD (Design & Art Direction) New Blood, held at London’s Truman Brewery in July, is an annual event aimed at stimulating, enabling and awarding creative excellence in design and advertising. 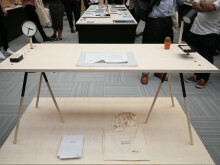 This year’s show exhibited the wide range of creative talent at Northumbria, with animation projects centred on social stigma, interactive media designs to help those less able and multi-platform applications designed for international corporations. 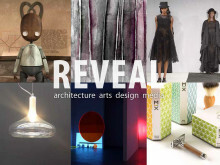 Eleanor Pike was one of the nine award-winning students whose creative talent was recognised with a ‘pencil award’. 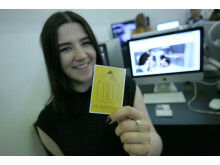 As an animation student at Northumbria, her ‘Commonplace’ project was recognised by D&AD in May, prior to the New Blood event. By exploring three of the seven archetypes through the medium of photography, Eleanor has portrayed the social chasm that exists between the homeless and affluent, the effect of long-distance relationships on families and the isolation of depression. George Grange’s ‘HomeLink’ project, designed to provide assistance to those less able to complete simple physical tasks, is another of the nine Northumbria student projects recognised as ‘Ones to Watch’ at this year D&AD New Blood exhibition. 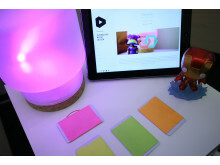 By using simple NFC technology (found in bank cards) and RIFD readers, he has developed a practical and affordable system that can be built into pre-existing furniture, removing the need for those with learning difficulties or suffering from dementia to learn new tasks. 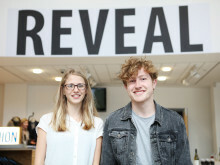 Interactive Media Design students Liam Dexter and Becky Lee were also among the Northumbria award-winners. Their ‘Virgin Empire’ game has been praised as an engaging, educational and entertaining bank platform for children. 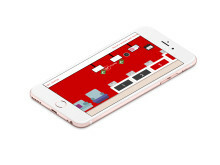 Created in response to a live brief from Virgin Money, the project is catered to youths with multi-platform application and the possibility of creating one’s own Virgin Empire. Final year branding student Jordan Robertson was chosen by Design Week as one of the top five students on display at D&AD New Blood this year for his bold cosmetics brand concept, centred on inclusion and the ideal of creating ‘an honest idea of beauty for everybody’. His work has also been recognised by international publication, Design Week, as one of the top five students exhibiting at the show. Branding students continued the awards trend with Benas Skirpka winning a pencil award for his project which used reflective materials in the realisation of his gender neutral cosmetic range. 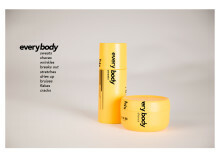 Neesha Mistry, was also on the award list was has her ‘equals’ packaging in response to a similar brief. Hannah Fawcett has also won an international competition brief set by international branding agency JKR, which consists on a cash prize and a placement with the firm. Fellow final year branding student Megan Yap took home the second place at a competition organised by brand agency Brandopus, which also includes a placement with the company. 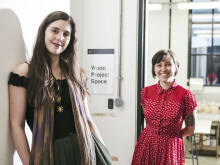 Further information regarding Northumbria University at D&AD New Blood can be found here: D&AD New Blood. 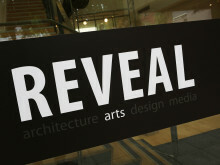 To find out more about studying Media and Communication Design courses at Northumbria click here.